At Origin Active Lifestyle Communities, we love having the opportunity to learn about the lives of each of our community members. 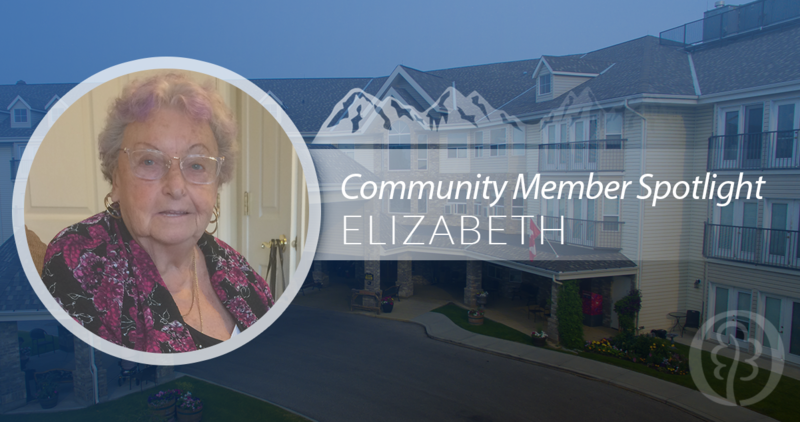 This month, Origin is excited to highlight our Swan Evergreen Village community member, Audrey, who has resided at Swan Evergreen Village since the location opened its doors! Audrey was born in Wadena, Saskatchewan and was raised on her family’s farm. She attended high school in Wadena where she met her first husband. During her life, Audrey has lived in Thompson, MB, Fort McMurray, AB, Airdrie and eventually, Calgary. Together, Audrey and her husband have two sons and one daughter, as well as six grandchildren and 12 great-grandchildren! Audrey is very proud of her family and feels very blessed to have them in her life. Audrey says she loves living at Swan Evergreen Village! She has always been active - playing ball, golfing, knitting, bowling, playing cards, and gardening with her green thumb. Audrey enjoys that Swan Evergreen Village allows her to maintain her active lifestyle and keeps busy by attending Swing fitness classes, helping with the garden, and socializing with her fellow community members. Audrey also keeps busy by knitting. She never follows a knitting pattern – she just follows her instincts and has crafted her skill by doing. When asked about her life highlights, Audrey believes that she has been very lucky and has been fortunate to lead a good life. She is grateful for her family, the places she has lived, and the people she has met along the way. 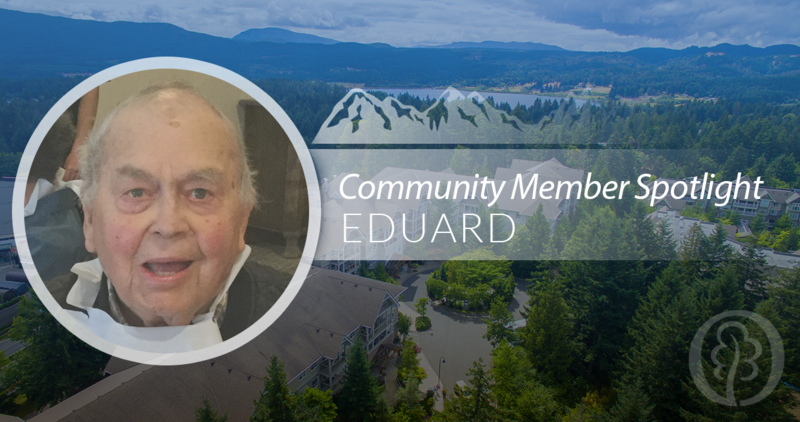 Audrey is proud to say that she is the first community member living here at Swan Evergreen Village and says it has been neat to watch the building grow and develop - welcoming new community members, staff, and programs. If you visit Swan Evergreen Village, you can be sure to find Audrey tending to the plants on the patio, socializing with friends, doing morning exercises or giving you a wave and a smile in the hallway! 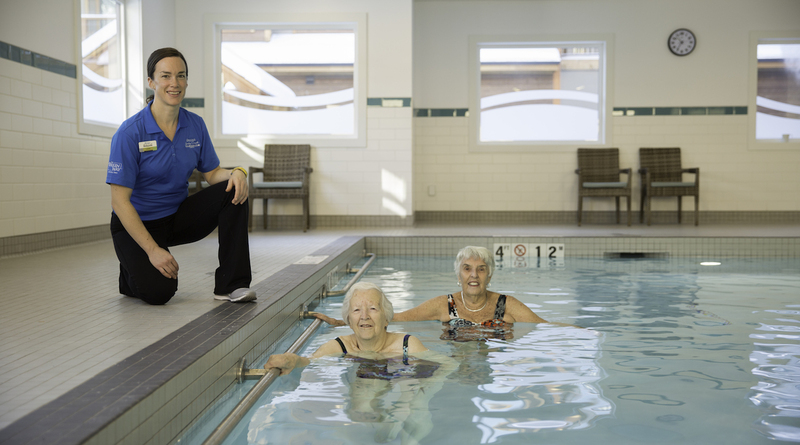 Origin designs, develops, and operates innovative, active lifestyle communities across Canada that provide our community members with rich, full lives that maintain safety, build relationships, and promote healthy living. 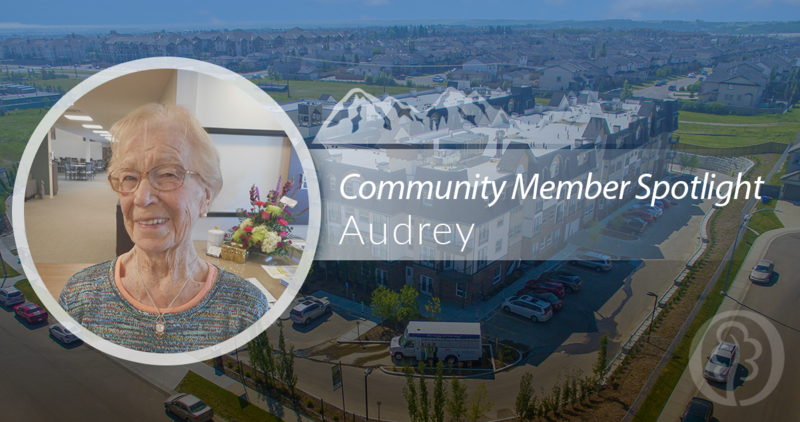 We are fortunate to be able to fill our communities with wonderful people like Audrey and encourage you to schedule a visit to one of our active lifestyle communities and experience the Origin Way for yourself!